For most small- to mid-sized businesses, it is almost impossible to have an effective organic SEO campaign because you are competing against some very large corporations who have the deep pockets or the web presence to keep themselves above small companies. In many cases, Yelp, Wikipedia or some other big company is going to dominate the natural SEO results on the first page. But there is still a way for local companies to rank ABOVE the natural organic results: Local SEO. When a search includes a local geography, like a city, Google usually returns Local SEO results in a three pack that appears next to a map showing the location of the companies. 1 – Claim and update your Google My Business page. Don’t know how? Google is pretty straightforward about how to set up your Google My Business Page. 2 – Make sure that the Name / Address / Phone Number of your company is the same everywhere. The Name, Address and Phone Number (NAP) of your business is the way Google identifies your business. So it is critical that your NAP is consistent and is exactly the same across your entire website (yes – every page), every business listing (yes – your Google My Business page, business Facebook page, and business Linkedin Page) and any other website or directory that you are listed. The first two things are pretty much a one-time setup activity. But getting local reviews on your Google My Business page is something that you need to actively pursue. Fortunately, Google allows and even tells you how to get reviews on Google My Business. It is important to note that the Local SEO results rank ABOVE the natural organic results! Do I Need To Pay For Local SEO? What is interesting about Local SEO is that there are a lot less link-building activities than are traditionally associated with SEO. And while you may need help in making sure that your website has the correct meta tags, setting up your Google My Business page or making sure that your NAP is consistent, if you have a process in place to get your happy clients to leave you positive reviews on your Google My Business Page and to monitor those reviews, then there is really no need to hire a company for Local SEO. Local SEO provides a great way to “level the playing field” between the large national companies and the local small- to mid-sized businesses in ranking high on searches that include a geography. These three guidelines can help launch your company into the three pack of the local SEO results. 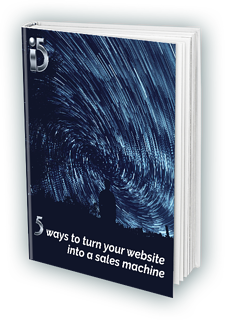 Download this free e-book today to learn how.